Billionaire Investor George Soros Sees Economic Trouble Ahead : The Two-Way The last time the hedge fund founder started making big defensive investing moves was right before the worst financial crisis to hit the U.S. since the Great Depression. George Soros, founder and chairman of Soros Fund Management, speaks during the 2011 forum "Charting A New Growth Path for the Euro Zone" in Washington, D.C. Soros now appears concerned that the global economy's path looks shaky. Why should anybody care that billionaire George Soros is trading again and making big bets that will pay off if economies around the world fall on harder times? When the 85-year-old hedge fund founder did something like this a decade ago, the U.S. housing market was about to implode, Lehman Brothers would soon collapse and the U.S. and global economy was headed into what economists call "the toilet." One thing Soros appears to be most concerned about this time around is weakness in China. "Worried about the outlook for the global economy and concerned that large market shifts may be at hand, the billionaire hedge-fund founder and philanthropist recently directed a series of big, bearish investments. 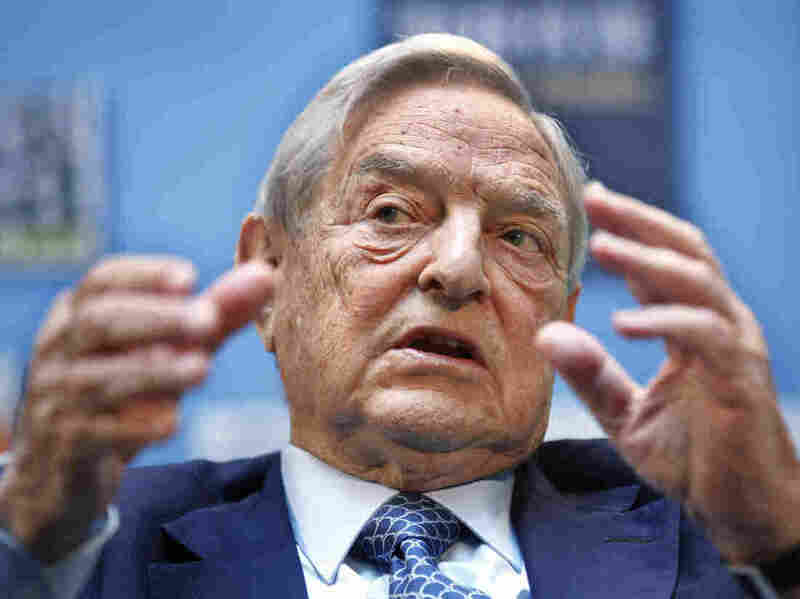 "Soros Fund Management LLC, which manages $30 billion for Mr. Soros and his family, sold stocks and bought gold and shares of gold miners, anticipating weakness in various markets. Investors often view gold as a haven during times of turmoil." Soros for the most part in recent years has been leaving investment decisions up to the people he hires to manage his money. He spends much more time engaged in his philanthropic and political activities. (Soros is a prominent contributor for Hillary Clinton and other Democrats.) So it's considered notable when he gets more actively involved in investment decisions. Earlier this year, Soros expressed concern about China, saying that levels of debt in the country resemble the borrowing craze in the U.S. just before the housing bubble burst and the economy fell into severe recession. The concern is that greater economic turmoil abroad could hurt the U.S. economy. Still, some market watchers on Twitter note that it wouldn't be the first time Soros has made bearish-looking bets that weren't followed by global calamity. And most economists say they think the U.S. economy will continue to recover and strengthen. Some actually see hopeful signs that wages for American workers could rise in a meaningful way. In an economy that's largely driven by domestic spending, that would be very good news indeed. George Soros' Open Society Foundations is a financial supporter of NPR.